You don’t have to be a smoker to suffer from heart disease, lung cancer or even throat cancer. People consistently exposed to secondhand smoke, at home or at work, are at risk for these conditions. As for infants and children, consistent exposure to secondhand smoke can lead to frequent colds, respiratory infections—including bronchitis and pneumonia—frequent or chronic ear infections, undeveloped lungs and even SIDS. Missouri remains behind the curve when it comes to reducing tobacco use. 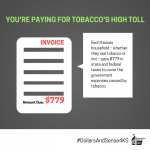 With failed efforts in 2012 to pass a 73-cent sales tax increase on a pack of cigarettes, Missouri’s cigarette tax remains at 17 cents a pack—the lowest in the nation. Bertz said communities that have passed clean air ordinances have seen a drop in ER heart attack rates. Only 34 communities in Missouri have passed smoke-free ordinances to protect people in public places and at work. Steps are underway to add Lafayette County to the list. Although the county has no smoke-free ordinances, several restaurants and businesses have voluntarily chosen to be smoke free. However, LCPC aims to push this envelope, as 19 percent of county residents smoke. When it comes to advocacy, one of Lafayette County’s strengths has been the number of youth who have not only heard the clarion call for tobacco free communities, but have stepped up to the plate. Whether it’s elementary and middle school students displaying smoke-free messages or high school students (Students With A Goal, SWAG for short) creating PSAs, learning about tobacco policy, dissecting ads from big tobacco companies that target youth, or making presentations to city council members about the benefits of clean air policies, Lafayette County has a burgeoning youth advocacy movement. The biggest challenge is getting adult smokers to realize that their habit has the potential to harm or even kill those around them who don’t smoke. 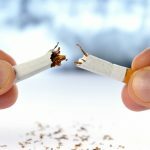 To put this in context: five minutes of secondhand smoke exposure stiffens the aorta as much as smoking a cigarette; 20 to 30 minutes of exposure causes excessive blood clotting and increases fat deposits in blood vessels (which increases the risk of heart attack and stroke); and two hours can trigger arrhythmia, which can trigger a fatal heart attack or stroke. Organizations, like LCPC, are committed to raise awareness about the dangers of secondhand smoke and the benefits of smoke free policies. The dialogue has started; we simply need more people to take the conversation seriously.